Hard to believe it has been close to nine years since we launched The Pink Cart program! To-date we have sold more than 140,000 Pink Carts and raised more than $665,000, all donated to the American Cancer Society (ACS) for breast cancer programs. While these are AMAZING numbers, and honestly far surpassed our early hopes and dreams, the numbers are actually much larger if we include the impact our Kick Cancer To The Curb idea has had in communities that we serve with partners. Our founder here at Cascade Engineering, Fred Keller, is always challenging us to find something good to do for our communities and make it good business. The Pink Cart is a great example of doing just that. To be clear, we could never have turned so many curbsides pink, or raised so much money, without the creative and energetic relationships that we have made with people from all corners of the country. People that have taken The Pink Cart idea and built upon it to more closely connect with their customers and the needs of their individual communities. A few examples of doing great work locally are companies like Borden Waste-Away in Elkhart, Indiana. 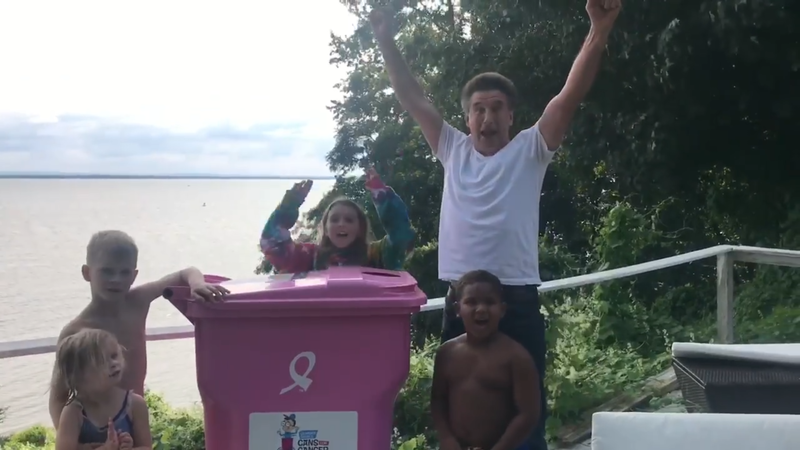 This hauling company has sold many thousands of Pink Carts, creating a large donation to ACS, but then took the program to new heights with their own Trash Cancer Matching Fund. This program collects one extra dollar per month from residential customers that have opted-in, matches it with a $1 donation of their own, and then donates every single cent to the Goshen Center for Cancer Care Research Fund in Goshen, Indiana. This program has raised tens of thousands of dollars and kept it all local, serving their community. Great work guys! We also have the awesome family business of Boon & Sons hauling trash and recyclables in North Chili, New York. These folks just straight up match our $5/Pink Cart donation to ACS with their own $5 donation and have raised thousands of additional dollars for ACS. 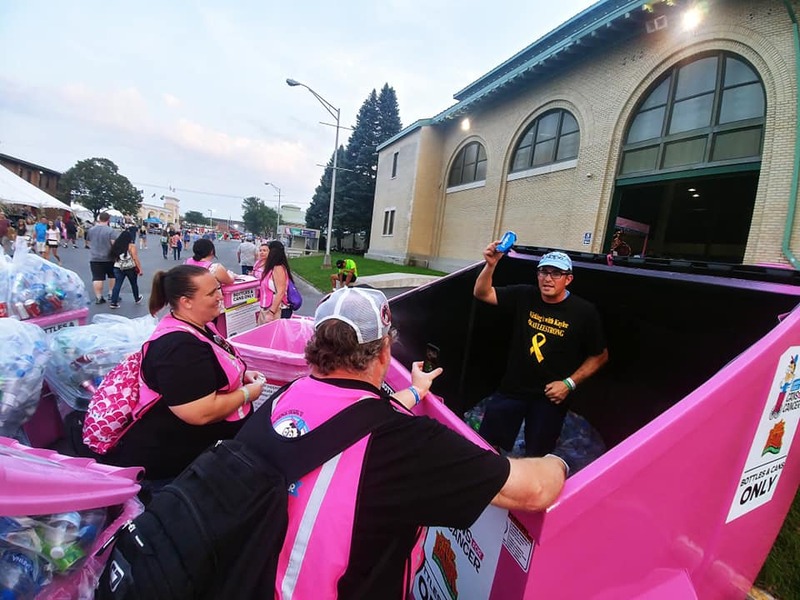 Just recently the Carol M. Baldwin Breast Cancer Research Fund of CNY, in conjunction with Onondaga County in the state of New York, purchased more than 500 Pink Carts for The Great New York State Fair - taking place now, August 22nd to September 3rd! 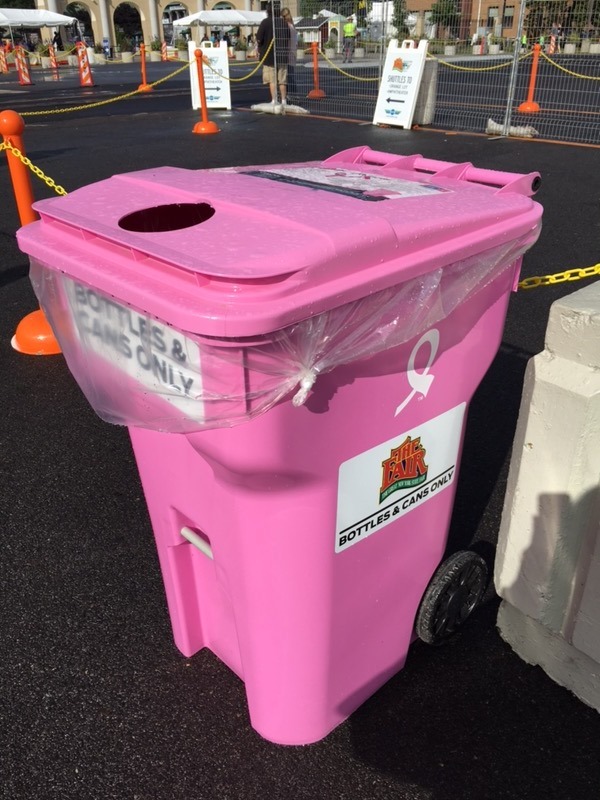 The Pink Carts are placed throughout the fairgrounds and marked for recycling specific items, so fairgoers can drop in their returnable bottles and cans. Volunteers are then returning the bottles and cans to a local recycling center for the $.5 per bottle deposit, offered by the state as an incentive to recycle. Finally, all funds raised will contribute to breast cancer research at the local Upstate Medical University. We are sure this program will raise many thousands of dollars for the cause, just as the others have. If you are in the NY area, be sure to go to the fair and be inspired! We know there are other allies across the country imagining and creating different programs, growing from The Pink Cart idea, that are hugely successful and we applaud them all! Thank you for all the love and support we get from The Pink Cart community.